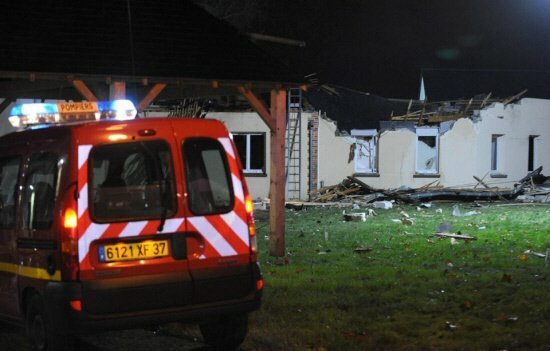 An Alpha Jet aircraft has crashed into a home for disabled people in central France, killing one person and leaving several others injured, one seriously. According to French media, the military plane, which was on a training flight, came down in the town of Vouvray near Tours on Wednesday, December 10, at about 17:30 local time. The two crew members had ejected and were unhurt, the air force said. Uninjured residents of the home are being moved to new lodgings. The 63-year-old resident who was killed had lived at the home for several years, said Health Minister Marisol Touraine after visiting the scene of the accident. About 75 people live at home. The plane hit one of two buildings housing female residents. A witness quoted by the local Nouvelle Republique newspaper, named as Sebastien, described a “very loud noise” and a “huge fireball”. He also said he had seen the two crew of the jet descending in parachutes. The pilots had made for “a dark area that appeared to be uninhabited,” said Col. Cyrille Duvivier, commander of air base 705 near Parcay-Melay. He said the plane had been on a night training flight with an instructor and trainee pilot on board. Col. Cyrille Duvivier described the Alpha Jet as a “very reliable design, which has been in service for some 30 years. It is more than 30 years since the last such accident at base 705, according to Le Monde newspaper.